KK 393, Huancayo, Junin, Peru, Altitude: 4000m. Origin and Habitat: This species is found widespread from central-Northern Peru to Bolivia in the Andean High Plateau. 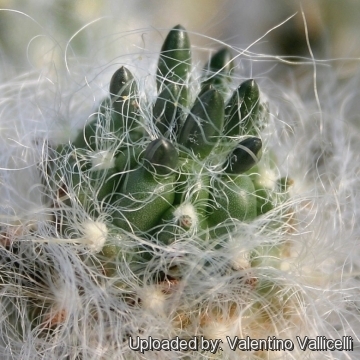 Description: Austrocylindropuntia lagopus f. rauhii is one of the morphological or local forms of Austrocylindropuntia floccosa, and the two plants are not readily distinguishable, if not for the geographical provenance. More likely they are one and the same species. 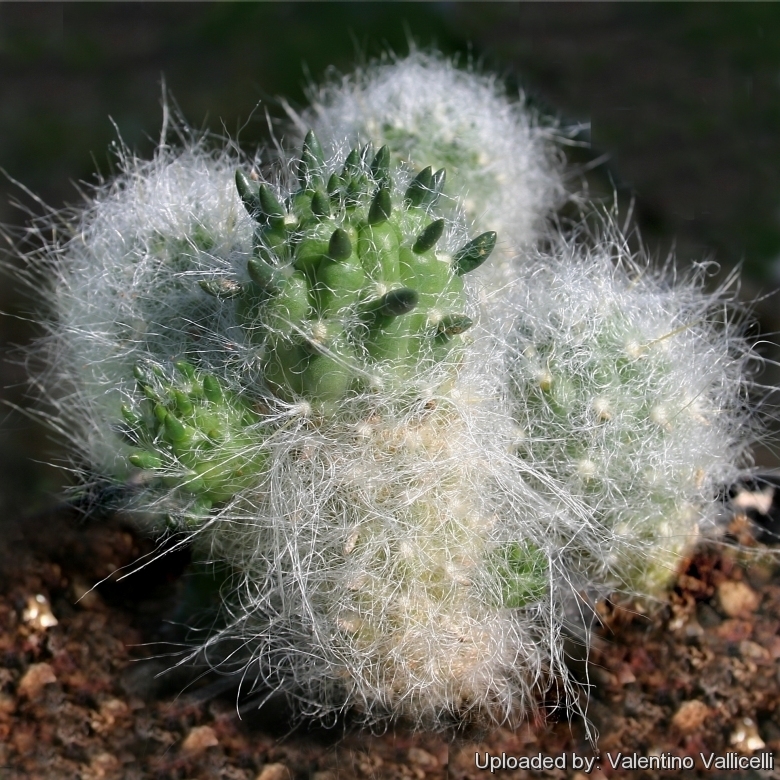 Habit: Austrocylindropuntia floccosa is a groundcover cactus that forms thousand-head colonies or compact cushions of up to 60 (and over) cm of diameter. 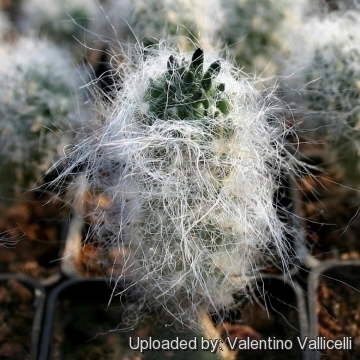 This plant is covered with a dense, long-woolly felt of white hair and yellow spines from which emerge bright yellow flowers. Leaves: Rudimental, awl shaped, dark green, fairly persistent, to 7 mm long. 10) Cáceres, F. & Lowry, M. 2013. 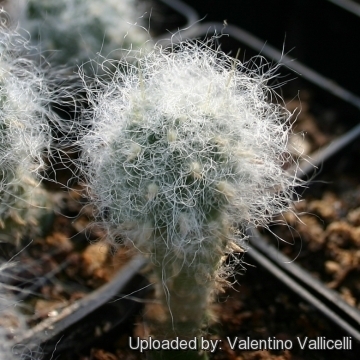 Austrocylindropuntia floccosa. The IUCN Red List of Threatened Species 2013: e.T152545A649328. http://dx.doi.org/10.2305/IUCN.UK.2013-1.RLTS.T152545A649328.en. Downloaded on 16 March 2016.